FESPA global print expo, is FESPA's largest, all-encompassing event covering screen and digital wide format, textile printing and signage. The main international event, FESPA Global Expo attracts in excess of 23,000 visitors from over 130 countries worldwide. The next global print expo takes places in Berlin from 15-18 May 2018 and will showcase innovations across all technologies and applications. FESPA global print expo will include co-located events European Sign Expo and Printeriors. 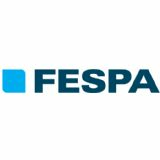 FESPA global print expo is organised by FESPA, whose heritage as an association for the print industry stretches back over 50 years, visitors are guaranteed to benefit from a show specifically designed for their sector.